– Lisa Rauter, First Assistant Secretary of the Australian Government Department of Foreign Affairs and Trade (DFAT). With the 2016 DFAT Ideas Challenge 2.0 currently underway, we have been reflecting on the first Challenge last year. The 2015 Ideas Challenge demonstrate that DFAT staff had some good ideas and contributed strongly towards building a culture of innovation and collaboration. This was achieved through close collaboration with Collabforge. In a codesign process with the Department’s innovationXchange team (iXc), an “ideas management system” or “IMS” online platform was created to collate a broad range of innovative ideas from DFAT’s staff and to adapt the Department to new ways of thinking and new ways of working. While innovation has always been encouraged with the Department, the Foreign Minister, the Hon Julie Bishop, affirmed that innovation is core business, establishing the innovationXchange to drive innovation in the aid program and support an innovative culture in DFAT. 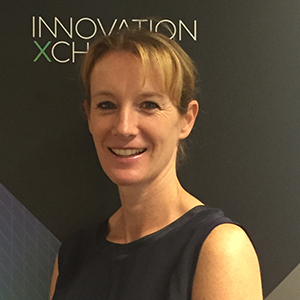 DFAT staff often have great ideas, claims Tracey Newbury, 2015 Ideas Challenge People’s Choice Winner, but these ideas were always shared through informal networks – “we haven’t had one platform to bring it all together”. To have an open, transparent, and Department-wide IMS that collected these ideas was was ‘game-changing’. The Foreign Minister threw down the challenge to run an ideas challenge for staff. Collabforge was brought on to help make it happen by codesigning and building the IMS platform. Partnering with members of the iXc, a core design team was formed that worked on two levels – process design and user centred design – while Collabforge programmers simultaneously built and iterated the platform in response to design choices and user feedback. 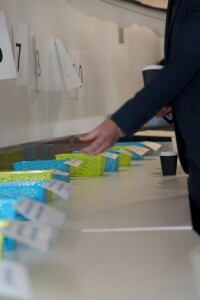 This iterative approach, where the core team organised work in short sprints and allowed themselves time to test their assumptions, ensured the platform and the Challenge could adapt to DFAT’s unique needs. Using collaborative tools like Google Docs, the core team mapped out the various stages of the Ideas Challenge and developed strategies and tactics for each stage, facilitating the iXc’s overall design of the Challenge. On this crucial stage of the project, Manal Saroufim, one of the iXc project leads, says “The way Hailey coached us in the beginning was pivotal”. Leading the user centred design stage of development was Bec Dahl, Collabforge’s Operations Lead, who cocreated user experience diagrams with the iXc team. This was done in close collaboration with Matt Withoos, Collabforge’s Technology Lead responsible for building the final platform. “It was an easy to use site, which was tailored to our needs and which allowed staff to lodge an idea, see everyone else’s ideas, build on those ideas through comments and also vote on the ideas,” reflects Lisa. 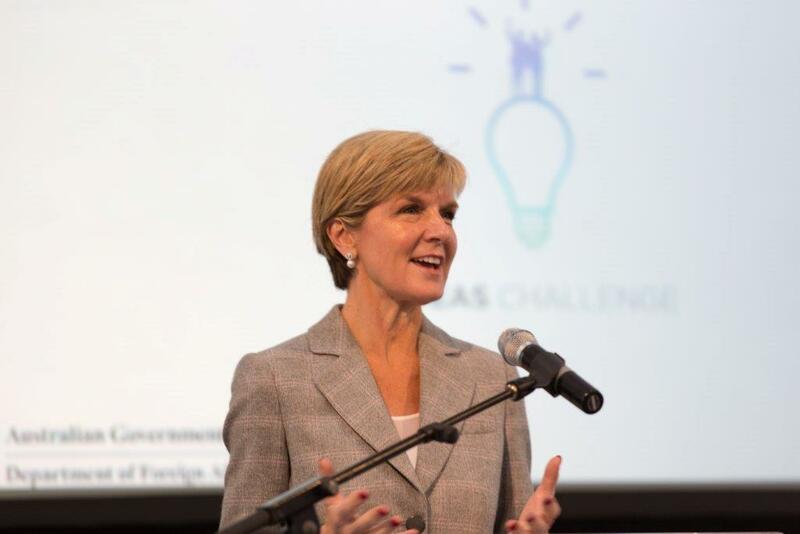 On March 23rd, 2015 DFAT launched its inaugural Ideas Challenge. “Nobody expected this,” says Manal on the level of staff engagement with the system, “we weren’t expecting that many ideas and we weren’t expecting that level of take up”. After collecting 392 ideas, a panel, led by the Foreign Minister, was formed to choose three winning ideas. 30 per cent of the remaining ideas were also taken forward in some form by the Department. Overall, this demonstrated a definite appetite for collaborative approaches to innovation within the Department. Tracey Newbury’s idea to improve women’s hygiene management in the Pacific won the People’s Choice Award. Speaking on the process of submitting an idea, she claims staff were really supportive throughout. “People were really generous in sending news stories or other bits of information that they thought might be useful”, she adds, “it was really exciting to have an opportunity to explore an issue that I was personally passionate about and that I felt had potential but for which there was really no other avenue to take that forward at the time”. Not only were there many great ideas, but the challenge contributed to a cultural shift. “I think people feel that there is more opportunity to question things and to come up with different ideas” claims Tracey, reflecting on the impact the challenge has had. “What the Department thought most valuable was the idea of increased collaboration and increased empowerment for junior staff members and a culture of more risk taking – people were more open to change,” observes Manal. At the launch of Ideas Challenge 2.0, the Department’s second challenge, the Foreign Minister encouraged people to “drive the innovation agenda to new heights” and together develop solutions to five priorities drawn from across the department’s foreign, trade, consular and development work. As Geoff Matthews, one of the iXc project leaders in both Ideas Challenges explains, the first Ideas Challenge demonstrated the Department had a culture of ideation. The second will demonstrate a culture of experimentation with energy being more tightly focused into the Department’s priority areas. In the future, he hopes, Ideas Challenges and the IMS platform could be used to tackle truly wicked problems. There has been a lot of interest drawn from other government departments and organisations in both the DFAT ideas challenges and the IMS used. Collabforge continues to work with the iXc team to tailor the systems to meet the evolving needs. Your email address will not be published. Your email is required. We are seeking a CTO/Lead Engineer to join us at Collabforge!